To mark the 17th anniversary of the women, peace and security agenda, Member States once again gathered in the UN Security Council for the Open Debate on WPS. While implementation of the agenda needs to be year-round, the Open Debate provides a significant opportunity for Member States, observers and senior UN Leadership to voice their commitments, activities and priorities towards that end. Ahead of the debate, we work to influence the statements that will be delivered, for example through the Open Letter to Permanent Representatives to the UN expressing civil society concerns and recommendations. This year the letter was signed by 391 organizations from across 98 countries, calling on Member States to prioritize gender equality and women’s rights and to increase their support for women civil society organizations and women human rights defenders. In light of ongoing concerns about cuts to gender functions in peacekeeping missions, we also called on Member States to make strong statements of support for maintaining and enhancing these functions. Here is a snapshot of how those issues were taken up in the Council chamber, as well as some key quotes from speakers. Gender equality was brought up in different contexts, with 118 mentions from 59 different speakers. Civil society was mentioned 98 times by 52 different speakers, and 36 of those mentions were specifically to women’s organizations. One trend we noticed was Member States providing examples of local, regional, national and international mechanisms and processes they partake in to support and integrate civil society. Additionally, UN Women, UK, Canada, Spain, Lithuania, Slovakia, Kazakhstan expressed the importance of civil society representatives briefing the UN Security Council. Women’s Human Rights Defenders were mentioned 4 times, once each by UN Women, Norway, Hungary and Armenia. The importance of gender in peacekeeping missions was mentioned by 35 different speakers and 20 of those specifically discussed maintaining gender expertise. Several others went a step further to express concerns about the fate of gender functions due to peacekeeping budget cuts. Commitments made in October need to be acted on and implemented across all country and crisis situations. 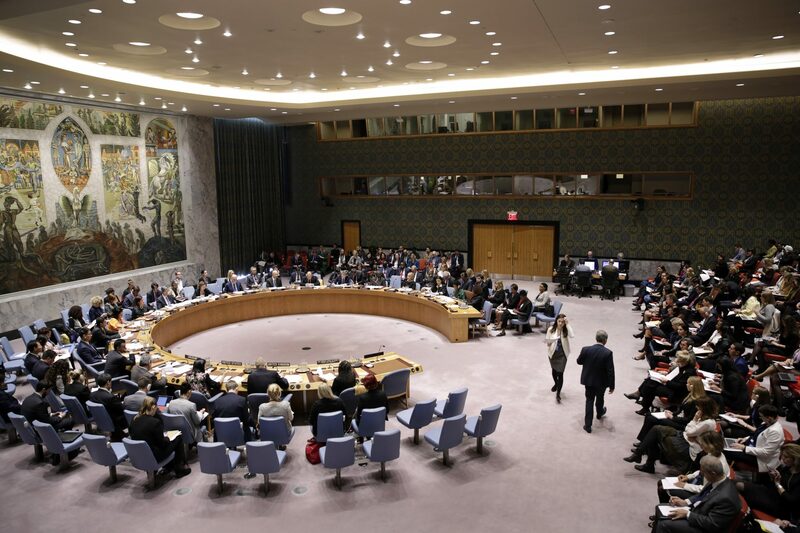 We work to hold Member States and actors across the UN system accountable for this by conducting ongoing monitoring and analysis of the Security Council decision making processes. For updates on our advocacy, you can explore our website, sign-up for our mailing list, and follow us on Facebook and Twitter. A more in-depth analysis of the statements made during the WPS open debate by Women’s International League for Peace and Freedom is available here.